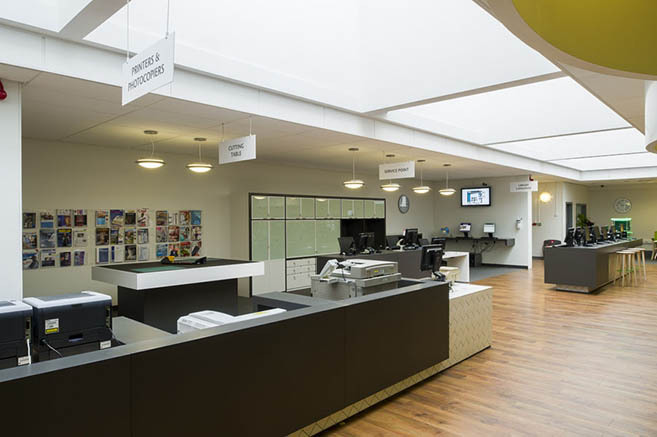 City of Glasgow College opened its expanded City campus library on 3 September 2012. Following merger in 2010, the college had four separate libraries in different buildings, resulting in a fragmented experience for students. 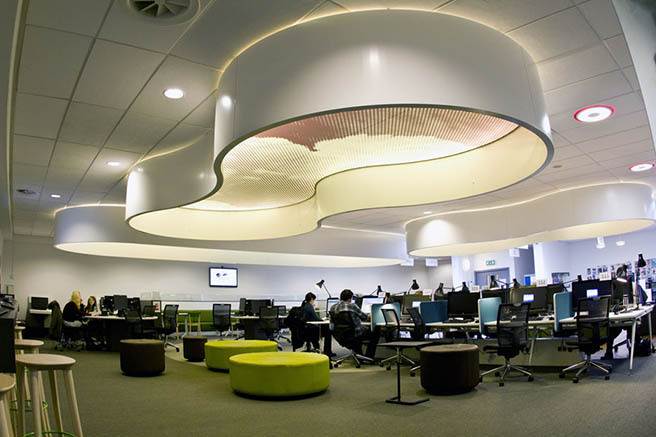 The new library offers a one stop for all learning resources for students based in city centre campuses. The library at Riverside campus continues to serve students in that part of the city. 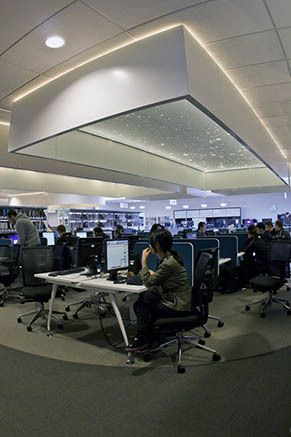 The new space expands the existing library in North Hanover St campus, which was refurbished five years ago. Now extended over two floors, it comprises a range of learning environments for individual, quiet and collaborative study. Books, journals and multimedia materials supporting the curriculum taught in the city campuses have been fully integrated. Students have ubiquitous access to computing. 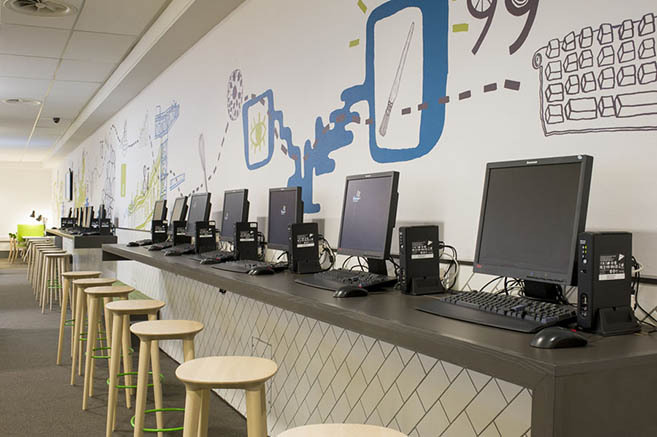 The area is wifi enabled but also offers bookable access to Macs, high specification PCs, thin client PCs and laptops, with touchscreen technology available in group study booths. The College also seized the opportunity to introduce RFID technology to improve stock management and allow self issue. The College called on the expertise of former students Val Clugston and Scott Mason of Nomad RDC to design the space. 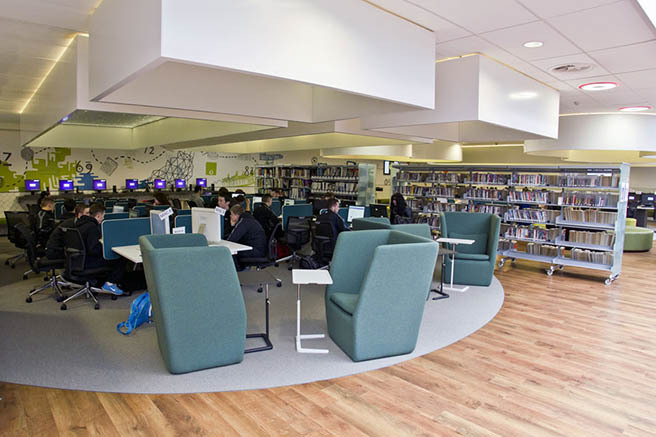 Library staff particularly liked their people centred approach to the project which ensured they consulted extensively with students and staff over the designs. 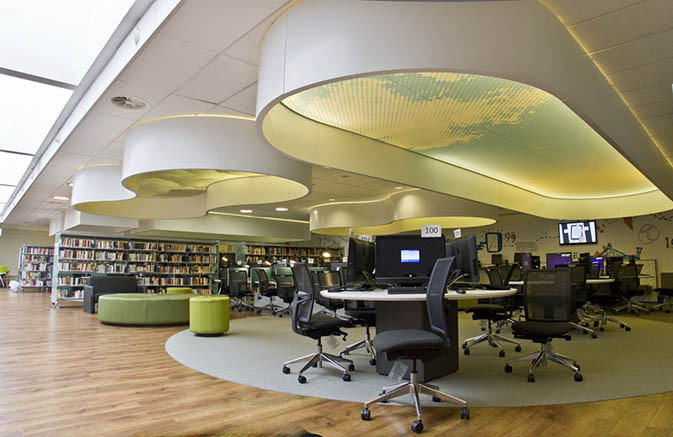 The final designs incorporate striking ceiling-mounted canopies which not only help to define the learning zones but also enhance the library environment by absorbing sound. In addition to creating an exciting space for learning, the project has been an opportunity to engage with students through participation in related competitions and by recording it as a 'living project' for construction and design students. 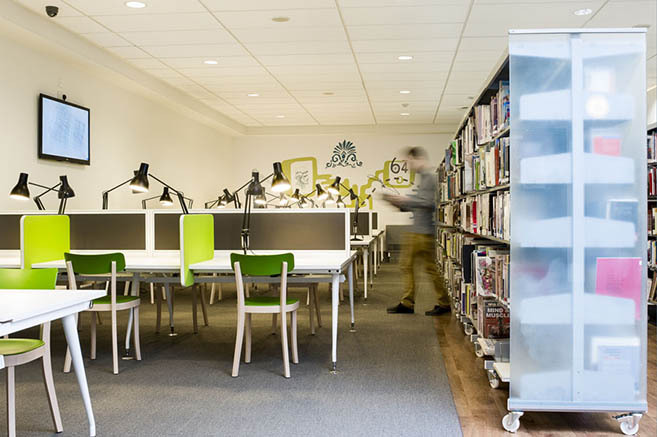 Tony McKay, a part-time member of College library staff, also a student at Glasgow School of Art, designed the graphics for the library which combine motifs from Glasgow's built heritage and the College's history and curriculum. These make a strong visual statement, and also help to link the new space with the original library. Response from students to the new facility has been enthusiastic, with a significant increase in usage.